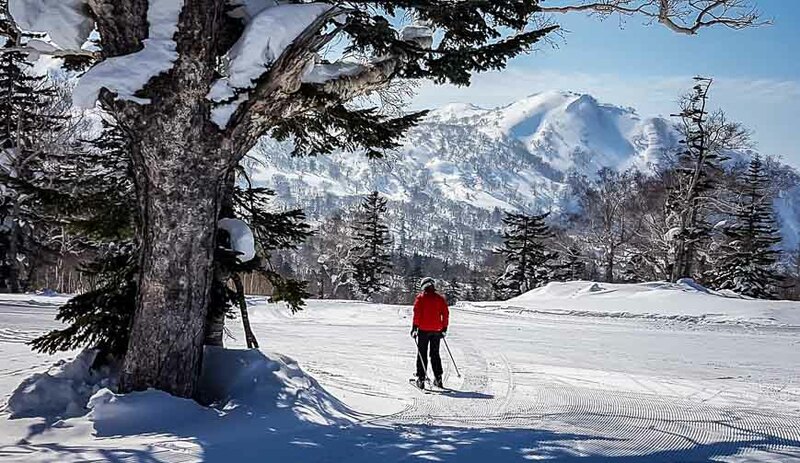 Did you know that skiing in Japan is some of the best on the planet, especially on the island of Hokkaido? Try to picture what 21 metres or 69 feet of snow looks like. That’s the yearly average Kiroro Ski Resort receives! While I didn’t catch a powder day, I did get the next best thing – spring skiing weather in early March on great snow with hardly a soul in sight. On a Sunday. Click on my video to get an idea of what the skiing looks like along with some of the other highlights from my week on Hokkaido. From the minute we arrived at the rental counter at the Kiroro Ski Resort our experience was first rate. As one might expect with the Japanese, the rental experience was fast and seamless. We’d all been given a ski pass for the day that included all the information about our rentals. A quick swipe to double check boot sizes and we were off to pick them up. Need a helmet; head over there. Ditto for coats, pants and goggles. Adjust bindings; wait 30 seconds. Pick up poles – and in about seven minutes you’re ready for the hills. While we had the guiding services of a lovely Australian lady for the morning, it’s easy and fast to get the lay of the land at Kiroro. Over just a few hours we rode most of the lifts and skied a good number of the hills – largely because there was never more than a 30 second wait in the lift line. I kid you not. The lift infrastructure at the resort is also excellent. There is one gondola and nine chairlifts, five of which have hoods which are perfect for the colder days. The only hardship – and it was minor – was actually getting the hood up. Sometimes it took two of us to lift it. Kiroro Ski Resort boasts 21 runs over two mountain peaks. While there is an equal division of easy, moderate and difficult runs, those that are rated difficult are closer to moderate – in my opinion garnered from years of skiing experience. On a couple of hills mogul courses broke up the otherwise moderate terrain so you could play in the bumps, and then get out if your knees started screaming at you. It was fun to watch some of the talented locals handle the moguls with grace. There is the option to hire a guide and head off for a either a half day or full day into the backcountry. Some of the guys from our group did that, and all came back sporting giant grins. My understanding is that there was a considerable amount of narrow couloir skiing broken up my beautiful glade skiing. While I was a tad envious, I think I would have been cursing every time I had to ski a colouir. After a couple of hours of exceptional skiing we broke for lunch. A quick trip down the hill by shuttle bus put us on the doorstep of the well-appointed Ice Star Resort. Not only were the surroundings beautiful but lunch itself was a real treat. After a week of fish, fish eggs, fish soup and yes even cod sperm fritters I was ready for western style food. I practically groaned with pleasure as I ate my cheese fondue. Post lunch a few of the woman opted to soothe away any of the morning’s aches from skiing in the onsen (hot springs to the uninitiated) but our group of ladies skied until we had to return to Sapporo. All of us would have been happy to have closed down the resort; I don’t think anyone of us wanted the day to end. In fact one of the woman said that skiing at Kiroro put the fun back in the sport. It’s about a 90 minute drive from downtown Sapporo. There is also a Kiroro bus from the Sapporo New Chitose Airport that takes approximately two hours. Or if you’re staying in the seaside town of Otaru, it will take about 40 minutes by car. Don’t expect to find a town or even a village at Kiroro. It’s a real resort with accommodation at one of two hotels. Choose either the Sheraton Hokkaido Kiroro Resort located right at the base of the mountain or The Kiroro, A Tribute Portfolio Hotel a short shuttle ride down the hill. Note that there is an onsen at The Kiroro Hotel. Fortunately you don’t have to be a hotel guest to use it. For any of you who love skiing but have never considered the Japanese experience I would say – reconsider. It’s only a 90 minute flight from Tokyo to Sapporo and from there you have access to several world-class resorts. 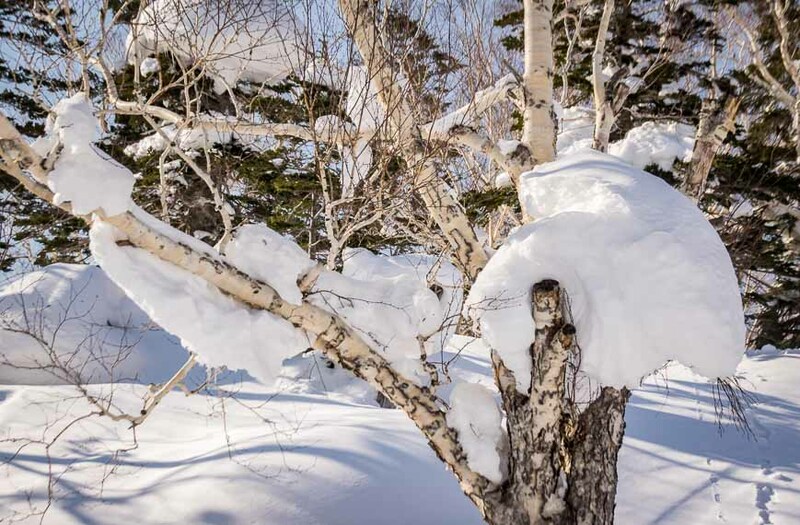 Most people who visit Kiroro stay for three to four days – and then add in another of the Hokkaido ski resorts, like Niseko Ski Resort, for variety. Note: The Kiroro Ski Resort enjoys a long ski season. Skiing opened on November 25th and closes the season on May 7th. You can still make it this year! For more information on skiing at Kiroro visit their website. Thank you to the Adventure Travel Trade Association and all their partners on the ground in Hokkaido, including the Kiroro Ski Resort for hosting my stay. @Mariska It was an epic day for fun.